Artist Joanne Posluszny-Hoffsten was born in Buffalo, New York. She has exhibited in the USA, Scandinavia, Europe and South Africa and has recently received the City of Linköping, Sweden, Cultural Award for 2011. She is presently exhibiting in the Passagen Arthall exhibit ”Artist in Residence” with her art installation”Destination Majorca, Frederic Chopin, George Sand,”in Linköping, Sweden. Posluszny-Hoffsten works in mixed-media using different types of material including skateboards, cages and suitcases.She received a grant from the Polish Ministry of Culture to study with Wladislav Hasior in Zakopane and afterwards to study graphics at the Warsaw Art Academy (ASP) where she met her husband. She now lives in Linköping, Sweden where she has her studio in the Skylten building, which is the oldest factory building in the city of Linköping, Sweden’s fourth largest city, located south of Stockholm. Polish National television has made a documentary about the life and art of Posluszny-Hoffsten. Joanne Posluszny-Hoffsten has also created documentary films about the writer Torgny Lindgren, the musician Gunnar Hoffsten, artist Leif Elggren and the Fish Auction in Göteborg, Sweden. Posluszny-Hoffsten has also been a recipient of the Konstnärsnämnden grant, the National Swedish stipend for Visual artists. 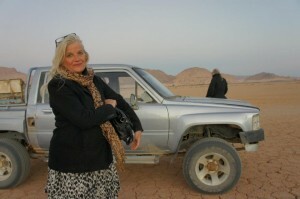 She is one of the directors and a founding member of of Jr. Konsthall Gallery, Linköping, Sweden.